Happy Friday! 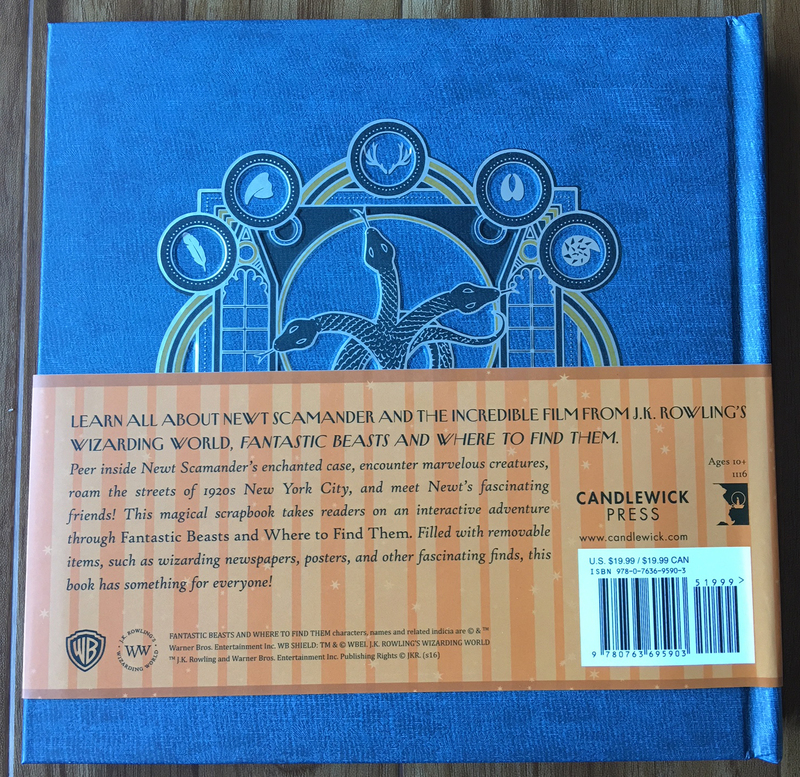 Here we go again with a box from Loot Crate’s J. K. Rowling Wizarding World subscription series. Warning, if you are subscribed to this box and either have not received or opened it yet, there are spoilers of the contents below. And as always, this is not a sponsored post. This box was on time, so it’s a bit closer than usual to the last post about these, but let’s dive into it! 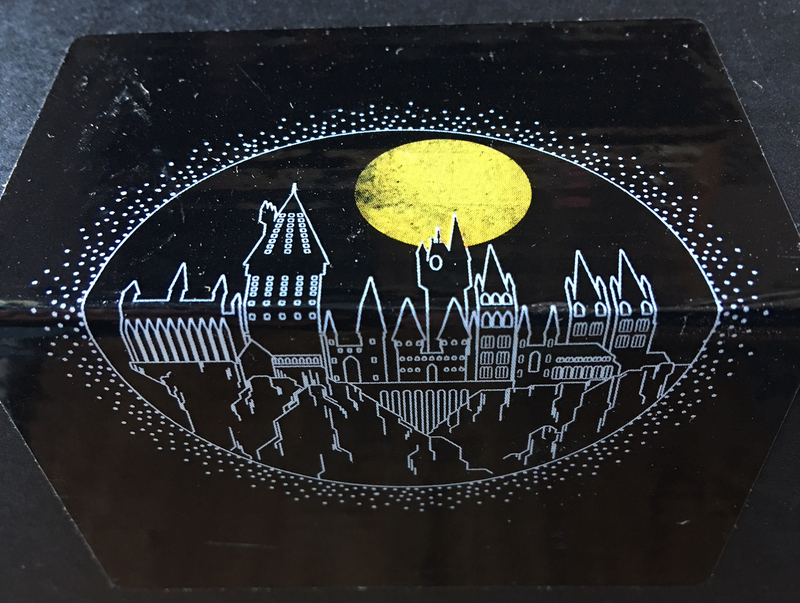 The first peek shows us another neat nighttime silhouette of Hogwarts on the box, and it looks like the t-shirt on top with a couple other items peeking out around it. 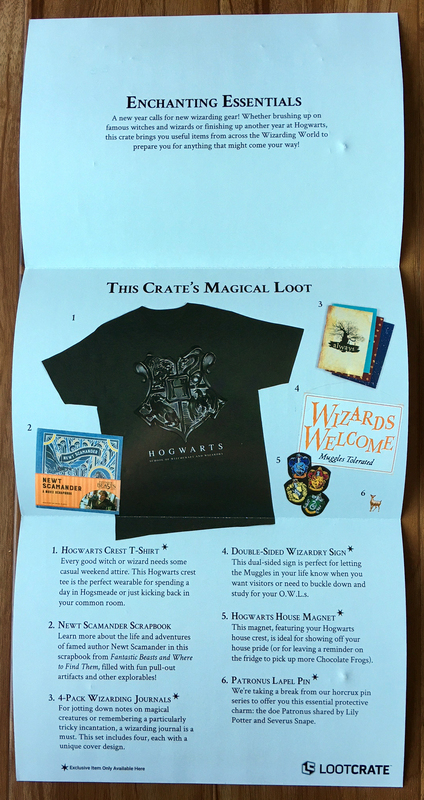 Then the guide to the box shows us six different items for this box, and the theme of “Enchanting Essentials.” This one includes the t-shirt, a book, a pack of mini journals, a door sign, a magnet that varies on the house you pick when signing up, and the box-staple pin. 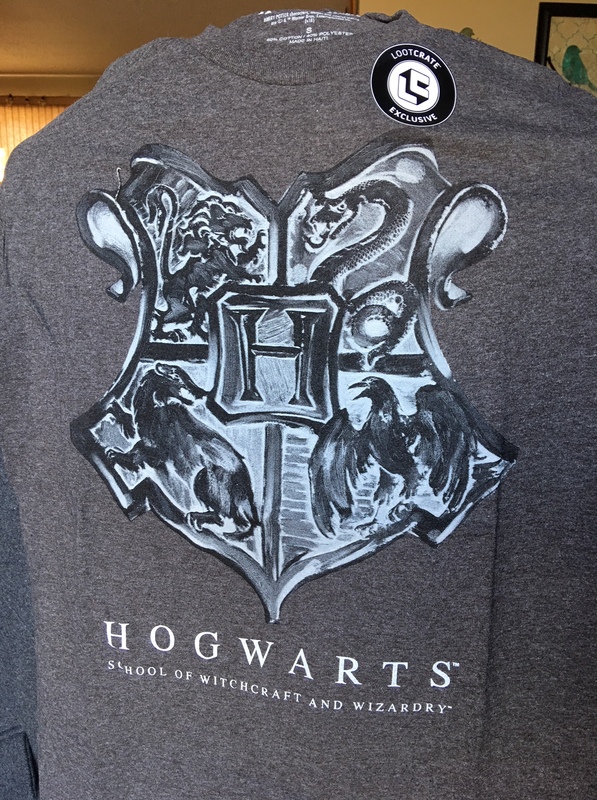 Our first item is a Loot Crate exclusive t-shirt with the Hogwarts crest on it. It’s neatly stylized and really soft, and the quality of the print feels nice, like it’ll last decently well. Downside to these boxes is a get more shirts than I can keep up with wearing, ha-ha. 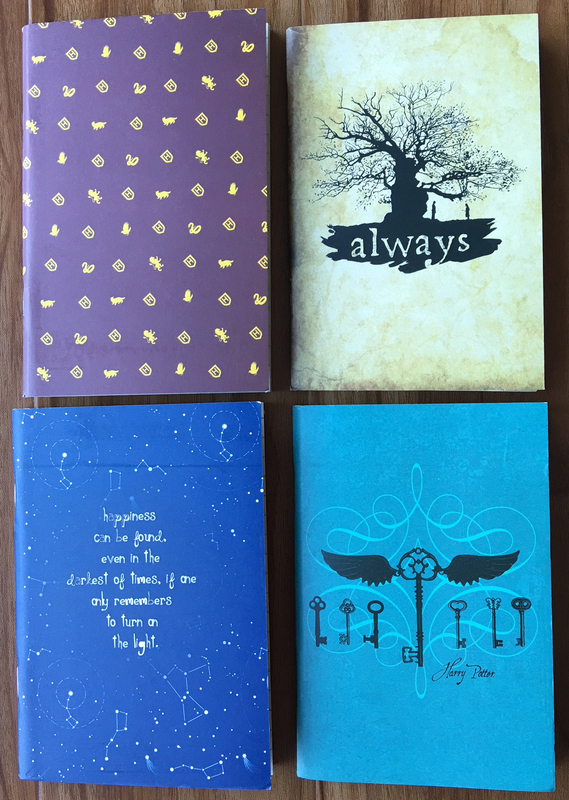 Then we have the 4-pack of miniature journals. Perfect for popping in your purse/car/pocket for on the go notes or writing. The designs on all the covers are very different and unique, and go along with the ‘essentials’ theme well enough, I think. The book this time is a lot more interesting to me. 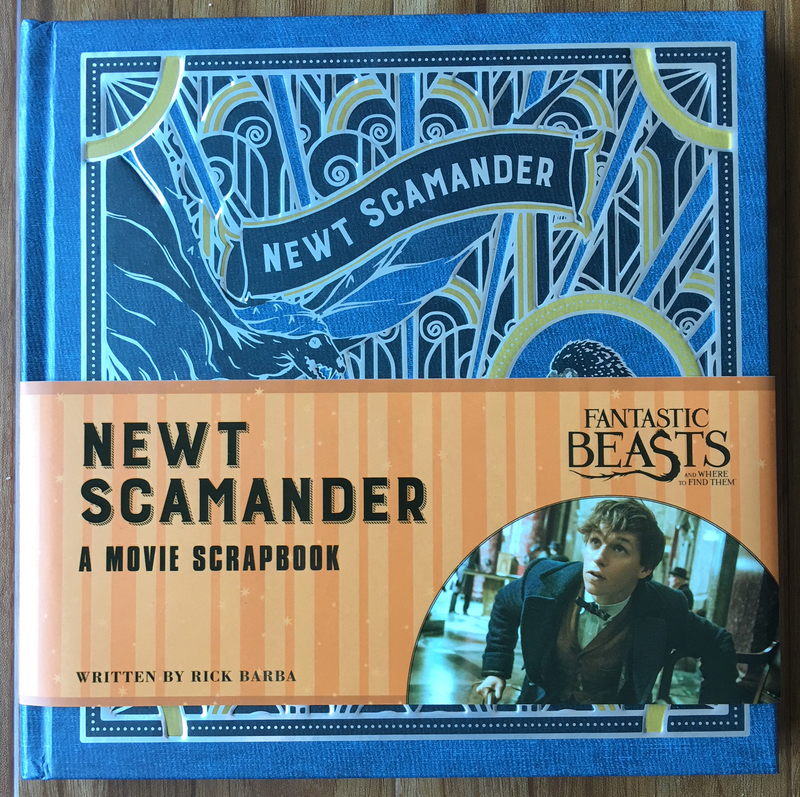 It’s modeled to be something like Newt Scamander’s scrapbook from the Fantastic Beasts movie, an interesting behind-the-scenes look at the film and what went into making it. 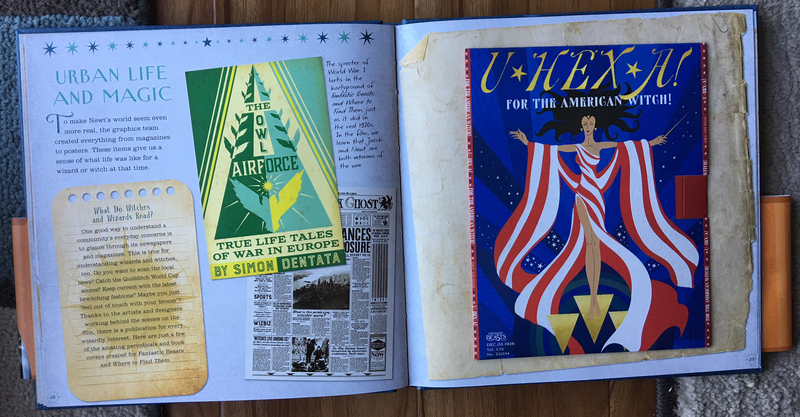 It includes looks at making some of the graphic elements for the movie (which I really like!) and even some interactive aspects like hidden folds in some of the images. 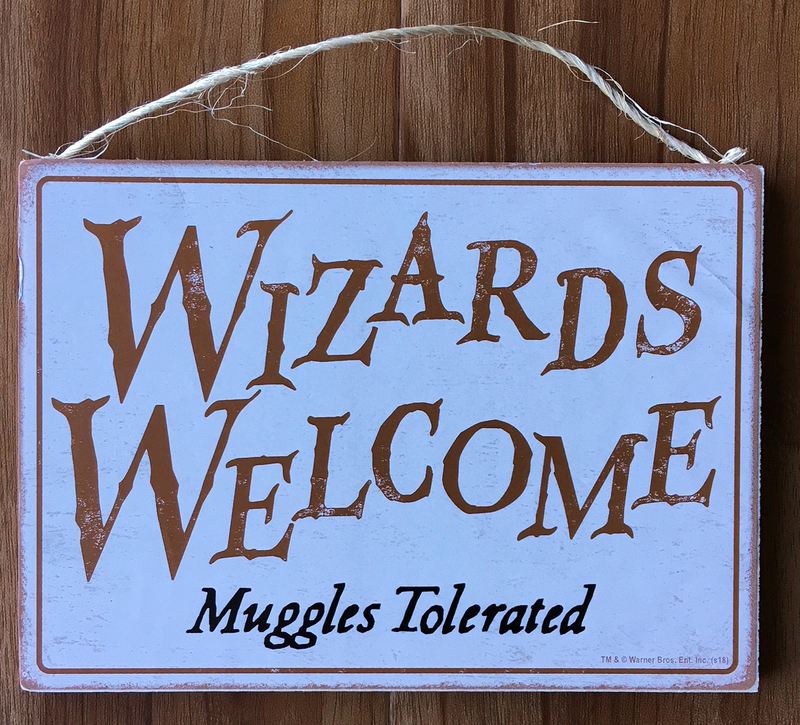 Next is the door sign, which features messages on both sides. So depending on how you’re feeling, you can be welcoming or bar others from entering if the world at large is offensive to you that day. Thankfully this is something that basically sits there once it’s in use, because it’s essentially a sticker on each side of a piece of thin wood with some twine stapled to the top. Not super durable, but fine for just resting on a doorknob or up on a wall. Last but not least are the two smaller items, the magnet and the pin! 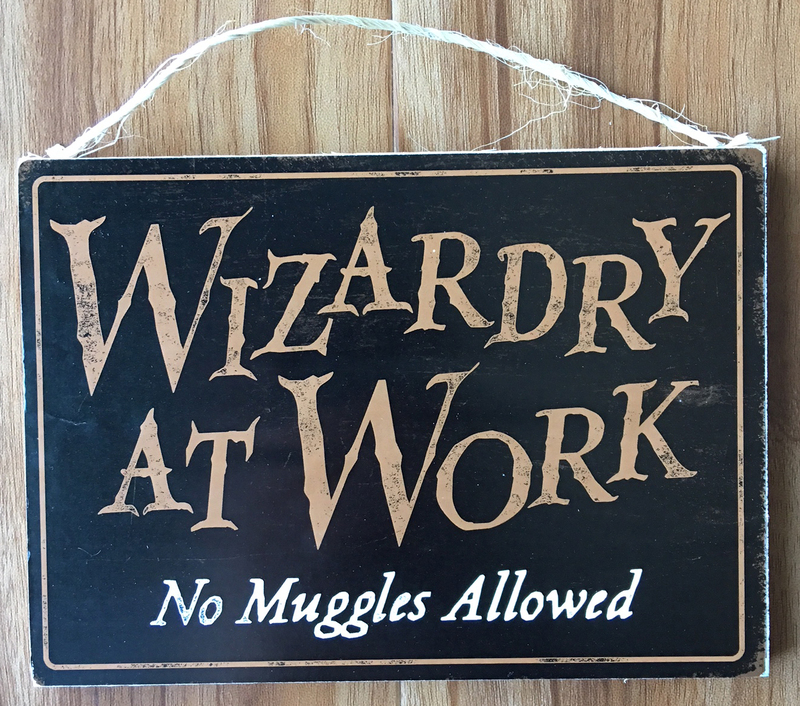 The magnet is an image of the crest of whatever house you choose when subscribing to the crate. It’s not incredibly strong, so it probably couldn’t hold anything decently heavy, but sticks well enough to a fridge or something. 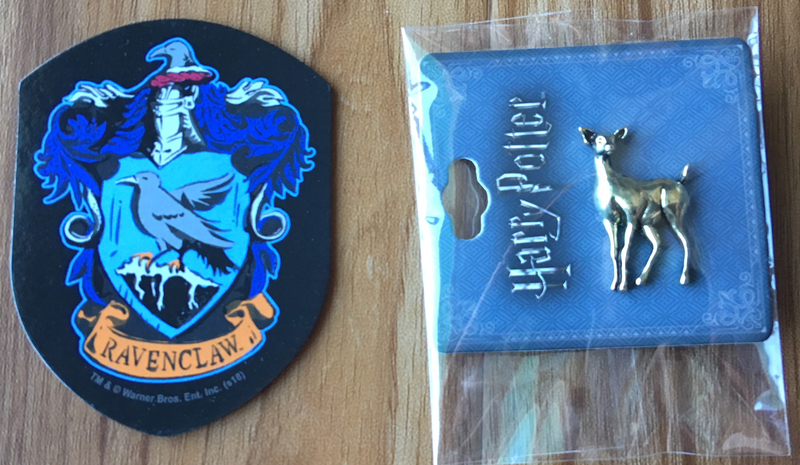 The pin for this box is in the shape of a doe, meant to be Snape and Lily’s patronus in a gold pin form. It’s very petite and cute, and is a nice, subtle way of showing your fandom love without it being obvious what it’s from. That was it for the box items, but this time Loot Crate also included a little promotional piece. When you subscribe to the Wizarding World crate you’re automatically entered to win a trip to the Wizarding World of Harry Potter park at Universal Orlando Resort. I’ve been lucky enough to go a couple times and loved it. It’s always super busy there, but it’s lots of fun and has great attractions, food, and merchandise! (This is still definitely not sponsored by the way, ha-ha.) 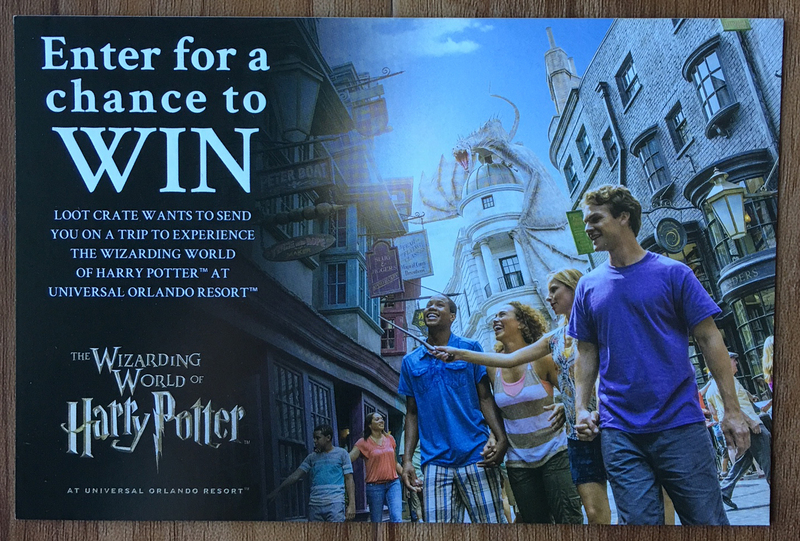 So if you’re planning on getting a crate anyway, and you’d like to visit the theme park, you get entered for a chance to go! 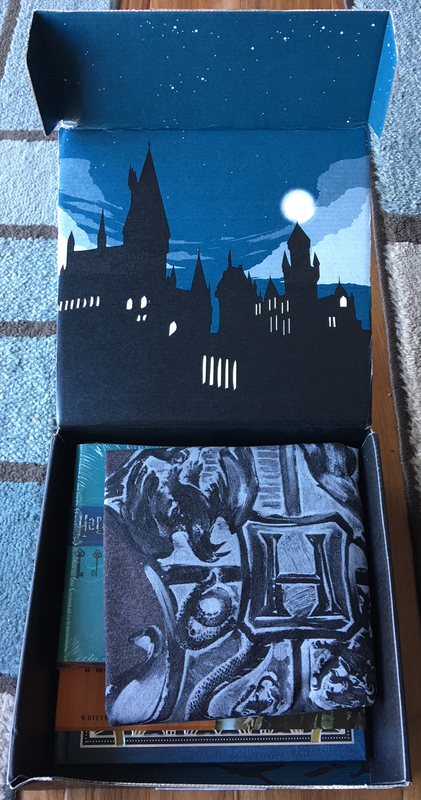 Now we’re at the end of the March 2018 Wizarding World subscription box! I think the theme was good, but I don’t know if necessarily everything in the box fit with it. I wasn’t disappointed to receive anything here, though. Have a great weekend! Let’s get ready for April!